A vacation rental in the state of Arkansas is your ultimate destination to enjoy the southern natural beauty and charm of this state. Enjoy a week in one of the rental villas, condo rentals or vacation homes available in the state of Arkansas. The main attraction tourists travel to each year is the Ozark Mountains. This area features rugged mountains, gorgeous lakes and rivers. The Ozarks is the perfect choice for outdoor enthusiasts. You can enjoy a week a fishing, hunting, boating and hiking. While you are there check out the Ozark Folk Center near Mountain View to learn more about the early life of the area. Hot Springs Villageis an incredible place to visit. It is the largest gated community that has been developed in the United State. Hot Springs Village is home to 9 golf courses, outdoor and indoor swimming pools, 12 different lakes, 16 tennis courts, 2 country clubs and over 20 miles of scenic nature trails! You can also enjoy all the shops and galleries located at Bathouse Row. Eureka Springs a beautiful mountain town in Arkansas features amazing victorian architecture throughout the local streets. While visiting Eureka Springs you can shop the antique stores and boutiques, enjoy a day at the spa or catch a ride on the Eureka Springs and North Arkansas Railway. Tourists can also visit the Christ of the Ozarks, a seven story statue located just outside of town. There is also a Sacred Arts Center and the Bible Museum. Take a New Holy Land tour while you are there observing replicas of holy sites and enjoy a evening play of the Great Passion. The capital of Arkansas is Little Rock. You can spend the day away from your vacation rental at Riverfront Park, the Old State House Museum, the Arkansas Arts Center, the Museum of Discovery or the Historic Arkansas Museum. As you can see the state of Arkansas provides entertainment of everyone of all ages. Enjoy the outdoors, shopping, historical attractions, mueseums and other activities while on vacation. 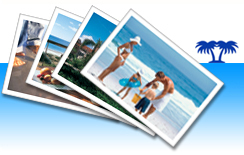 You can book your next vacation right here at www.ivacationonline.com using ourvacation rental management software.Your next vacation is just minutes away from being booked!